Your Search is over. 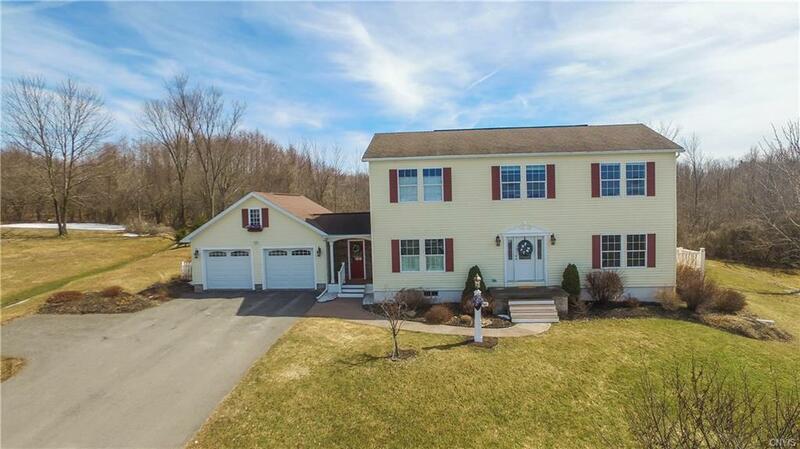 This four bedroom and two and half bath home in New Hartford (Hughes Elementary) checks all the boxes. The moment you enter the welcoming entry you will notice the abundance of natural light, comfortable spaces and incredible views. Attention to detail throughout: beautiful woodwork, crown moldings, entries,columns, wainscot, tray ceilings and custom mantel. Kitchen w/ warm maple cabinetry, stainless steel appliances and granite tops. Family room w/ views of the valley and hills thru the many windows and patio doors. Adjacent dining and living rooms are large enough for many gatherings. Upstairs a spacious open foyer. Master bedroom is a private retreat w/ walk in closet and master bath. Enjoy the sun rise and sun sets from the deck which wraps the home. Why wait. Directions To Property: Take Ny 8 East From New Hartford. Take The Kellogg Rd Exit Head North. Then 0.06 Miles Take The 1st Left Onto Oneida St. Then 0.47 Miles Turn Right Onto Danberry Rd. Then 0.29 Miles. 36 Danberry Rd Is On The Right.